Android Authority were lucky enough to get a hands on look at the new P20 over a month before it’s due to be unveiled by Huawei on 27th March in Paris. The pictures are believed to be a prototype, however this still means we get a good idea of what to expect. The most noticeable changes/exclusions you’ll see in the pictures are significant. Firstly following in the footsteps of the Apple, the phonejack has been omitted, but they have also decided to remove the volume rocker. This makes for a very sleek design as this has rarely – if ever- been done, but may prove difficulty in adjusting the volume with your phone in a pocket perhaps. Another feature set for the P20 was the suggestion of a three lens camera on the back, however as you can see in these photo’s, there are only two. This could mean two versions, one with two and one with three. 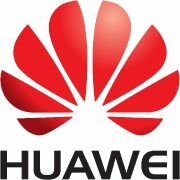 We should expect Huawei to reveal a bit more information about their flagship P20 phone at the MWC, but until they officially unveil it on the 27th March it’s a guessing game.